You must be a member of the Frankfurt Gym and Fitness Lifestyle Group to attend this activity. Would you like to join this group? You may already heard about “chakras” or maybe you have profound knowledge on this topic or even tried some chakra meditation techniques..
Long before modern technology and science, ancient cultures knew that all living beings carried a life force with them. They called the energy centres that move inside of us, the 7 chakras. 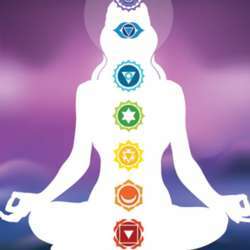 In a healthy, balanced person, the 7 chakras provide exactly the right amount of energy to every part of body, mind and spirit. However, if one of the chakras is too open and spinning too quickly, or if it is too closed and moving slowly, the health will suffer. By learning about the 7 chakras, you can become more in tune with the natural energy cycles of your body. This year we decided to arrange a series of yoga sessions that are thematically connected with each other, namely we are going to work precisely on each and every chakra by practicing asanas that stimulate a particular energy centre in the body and help to balance your chakras. Regardless of your experience and knowledge, these yoga sessions will be highly beneficial if you wish to get more understanding about chakras and through active yoga practice to reinforce your inner strength and body potential. As mentioned above, we have the 7 main chakras in our body, so there will be 7 yoga sessions consecutively focused on each chakra starting from root chakra and finishing with crown chakra.